At Fish On Extreme, my clients have been fishing on a 31 foot Chris Craft Commander. It's a spacious fishing platform. For 6 passengers, they can enjoy the fishing experience out in the fishing cockpit, as well getting out of the weather. To much wind, rain, or sun there is cabin with a private bathroom. For the corporate clients, business can be done while catching fish. For 2014, I am happy to introduce a new boat adding to the fleet. A 26 foot Boulton Powerboat is the new addition. This an aluminum sled guide boat powered with a new 200 hp Yamaha outboard engine. This boat will allow me to get to the hot zones of fishing outside the normal areas. The new boat will allow my clients to take advantage of fishing year round wherever the hot bite is!!! This boat will accommodate 6 passengers as well. 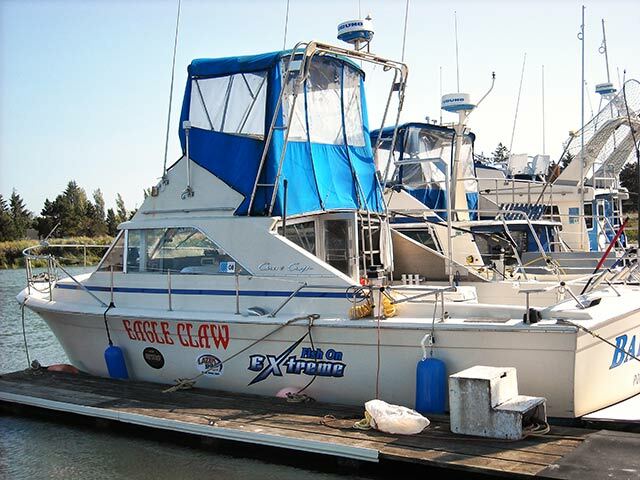 This boat is equipped with the latest and greatest fish finding equipment. Both vessels will be the best for any of our custom tailored fishing excursions.